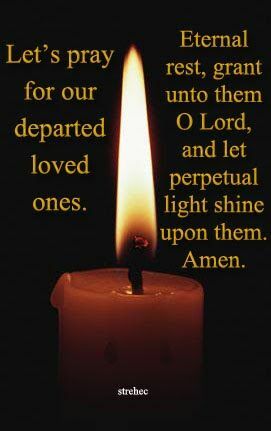 All Souls Day, Pray for the dead, November 2. All Souls Day is a holy day set aside for honoring the dead. According to Catholic belief, the soul of a person who dies can go to one of three places. The first is heaven, where a person who dies in a state of perfect grace and communion with God goes. The second is hell, where those who die in a state of mortal sin are naturally condemned by their choice. The intermediate option is purgatory, which is thought to be where most people, free of mortal sin, but still in a state of lesser (venial) sin, must go. All Saints’ Day, November 1. In Western Christian theology, the day commemorates all those who have attained the beatific vision in Heaven. It is a national holiday in many historically Catholic countries. All Saints Day, the day on which Catholics celebrate all the saints, known and unknown, is a surprisingly old feast. It arose out of the Christian tradition of celebrating the martyrdom of saints on the anniversary of their martyrdom. When martyrdom’s increased during the persecutions of the late Roman Empire, local dioceses instituted a common feast day in order to ensure that all martyrs, known and unknown, were properly honored. I am currently wearing a Saint Anthony of Padua, the Saint of Miracles metal. God works everyday as this is a testimony of His Works. I was shopping at my local mall this morning, when I entered Many Blessings my favorite place to search for anything beautiful. They have an enormous assortment of religious items, you name it. Catholic Holy Cards, Medals, anything that warms your soul, it is there. The employees are all special people and always asks if there is anything they can help you with. I feel like I go to my own private Church when I enter. It is a unique experience. I will share a brief story from this afternoon. I was back at the Holy Card Section, All the Saints; Prayer cards are located in the back section to the left. I shared this story with my son and two other friends. Oh, I also purchased the Michael the Archangel Holy card but gave it to my friend when he told me his story this afternoon. This is my testimony that God is ever-present in my life. HE is The LORD who which all thing are good. 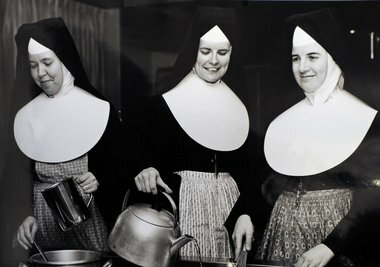 I await the Sunday in which I can share Mass with Sister Rita. Read Below: The plight of my once beautiful former parish. It is very sad. Early in the morning today, I shared this story with my friend Martini who is from Ireland, as I became very emotional with the closure of my once beautiful church, its decay and read her this post showed her the below links. Martini replied, ” Donna, you and I will go over to the Church before it is torn down and get a piece of it so you can have it to remember.” God led Martini back into my life again as we were separated due to her divorce for a reason. That is what God does in your life if you let HIM. 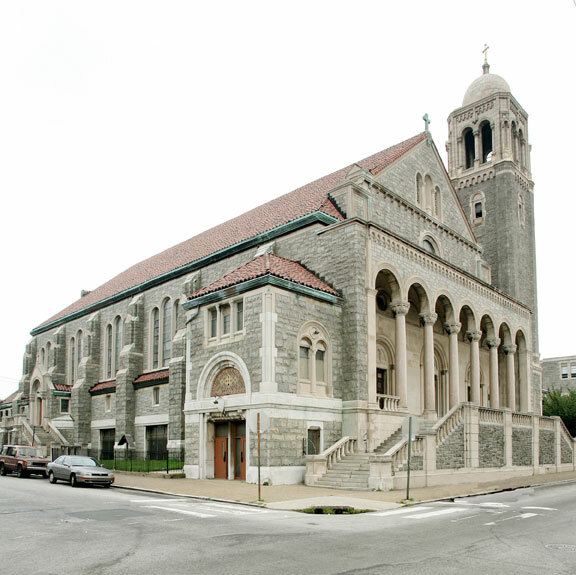 Below are the links to my once beautiful Parish, Ascension of Our Lord, Philadelphia, PA. The Catholic Church in North Carolina is booming. 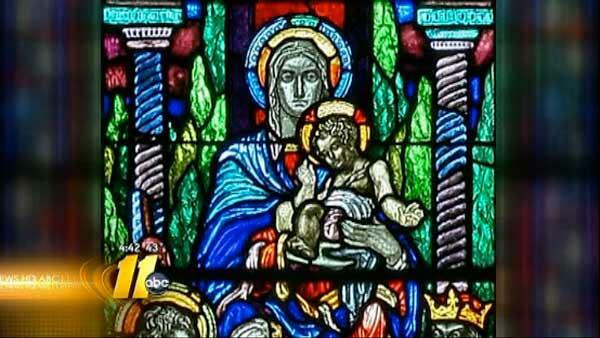 Raleigh’s new cathedral will reuse the magnificent windows from a grand Philadelphia church, now closed. The Art of Stained Glass….Ascension of Our Lord Parish! For my Dearest Friend Tom, as I assist you in prayer. Roman Catholic Benediction at the Shrine of Our Lady of Perpetual Help, Basilica of Our Lady of Perpetual Help – Boston, MA staffed by the Redemptorists.